10 st Cheyenne Craft Cartridges. 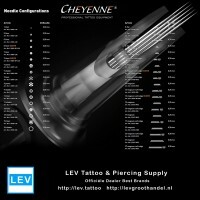 tattoo ink Made in Germany. and the requirements of the new tattoo regulations. with the Federal Office for Consumer Protection and Food Safety.